Aloe vera benefits health in numerous ways. Let's see how? An incredibly beneficial plant, aloe vera has plenty of benefits for all of us to enjoy. Whether you seek long, beautiful hair or glowing skin, aloe vera has it all to help you realize your health goals. A part of the lily family, aloe vera belongs to the family of garlic and onion and offers innumerable benefits. Also known as the plant of immortality, aloe Vera plant is enriched with over 200 active components, which include enzymes, vitamins, minerals, fatty acids, amino acids, polysaccharide, and is thus used for a range of remedies. Since it is rich in vitamins and minerals, this miraculous plant offers all the benefits that you would expect from these minerals. 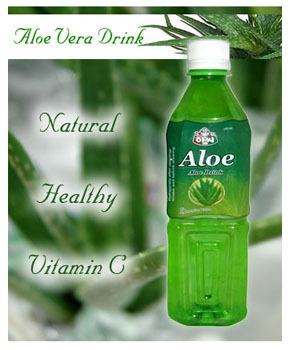 Interestingly, aloe is one of the few plants that contains B12 vitamin. Aloe vera is rich in nutrient compounds that help in healing, hydrating, and replenishing the skin when used externally. When consumed as a drink, aloe may have similar benefits on the digestive tract lining. According to a study published in the British Journal of General Practice, aloe vera reduces irritation on the digestive tract lining and boosts healing and repair of ulcers in the intestines and stomach. Its juice helps reduce inflammation in the irritable bowel syndrome and inflammatory disorders of the gut. The miraculous plant is also linked to promoting growth of healthy bacteria in the intestines, which help in digestion. Belonging to the lilaceous family, aloe grows in dry climates of India and Africa. The leaves of the plant secrete a gel that can be applied topically to soothe skin and also heal wounds. Research claims that aloe helps improve a number of skin conditions, such as flaky or dry skin, scalp problems, hair growth issue, cosmetic ailments, among others. Research is under way to explore the benefits of aloe in treating serious conditions, such as dandruff, eczema, psoriasis, genital herpes, skin ulcers, canker sores, according to the Mayo Clinic. Since aloe has antioxidant properties, it helps in quick healing of the skin after sunburns. Due to its greasy nature, aloe is a perfect moisturizer for oily skin and can even be applied on cuts and wounds as an aftershave. It can improve skin inflammation, itchiness, or blistering and scar marks. Aloe vera gel is rich in Auxin and Gibberellins hormones, which have wound healing and anti-inflammatory properties. Giberellin acts as a growth hormone, which helps in the growth of new cells while allowing the skin to heal naturally with least scarring. Aloe vera works well for patients suffering from gum diseases. A Journal of Ethnopharmacology study claims that aloe is helpful in the treatment of gingivitis and periodontitis and reduces gum inflammation, swelling, and bleeding. It has antiseptic and antifungal properties that help patients suffering from cracked or split mouth corners, apthous ulcers, or denture stomatitis. Aloe vera gel is known to improve blood quality and circulation in the body. It lowers cholesterol and total triglycerides for those with elevated levels. Aloe is far safer than statin drugs to lower cholesterol. According to a clinical study published in Angiology journal, aloe vera helps reduce fat levels in people with high cholesterol, helping reduce fatty deposits as well as blood clots in the arteries. 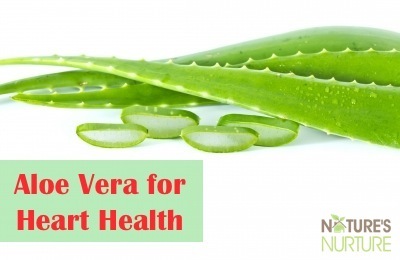 The research notes that diabetic patients benefit the most as far as improvement in cholesterol level is concerned from aloe vera, though the reason is yet to be determined. If you are distressed with falling hair, try aloe for hair health. 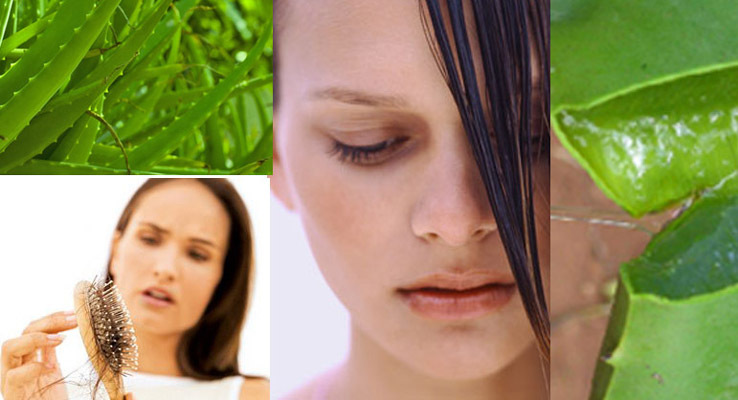 Aloe vera is known to prevent hair fall and promote hair health. According to Hawaii researchers, aloe contains proteolitic enzymes that are directly linked to hair growth, as they remove dead skin cells on the scalp, which might be clogging hair follicle and preventing proper passage of nutrients in the hair. Its keratolic action breaks down the dead cells on the scalp, thus allowing for hair growth. Moreover, aloe's alkalizing properties can bring the hair and scalp’s pH to a more desirable level, helping in hair growth. Its anti-puritic properties can help prevent dandruff and heal itching and dryness in the hair. Aloe for hair can be used as a great conditioning agent, which hydrates and moisturizes the hair and promotes their growth, adding strength and luster to hair. Though aloe vera isn't officially recognized as a wonder medicinal herb by the medical community, its health benefits cannot be negated. Man has been using aloe for over 5,000 years, and this magical herb continues to have magical effects on most of its users.